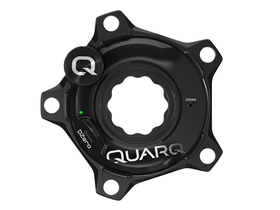 For 10 years, Quarq has been developing performance measurement systems for athletes who do not want to leave anything to chance in training. In the DZero Powermeter platform, the Americans incorporated their entire experience and integrated the latest technical standards. 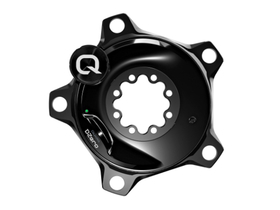 The DZero power meters continue to rely on a spider-based power measurement. Since this system measures the power where it is provided and the power of both legs is measured, this system ensures very high measurement accuracy. Outwardly only changed in detail, however, the DZero power meters have a completely reworked interior. Not only is the measurement technology new, but the arrangement of the strain gages has also been further optimized. The result is an even more accurate power measurement in each phase of a crank revolution and improved measurement accuracy with temperature fluctuations. 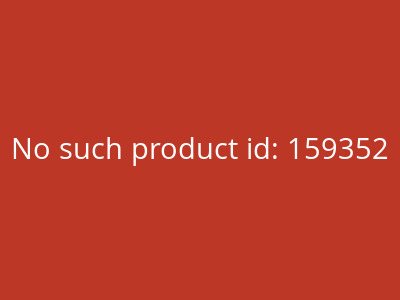 Thus, the values ? 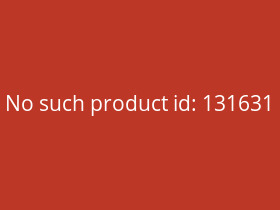 ?need to be corrected less via the internal software. Another important new feature is the data transmission via Bluetooth Low Energy Standard, in addition to transmission in the ANT + standard. 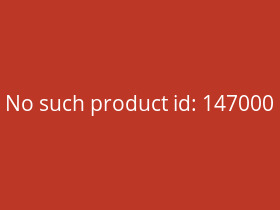 Thus, the DZero power meters can be coupled with almost all available on the market bike computers and smartphone apps. 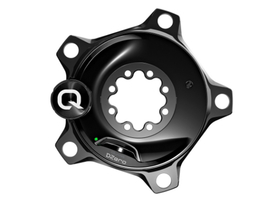 To upload firmware updates and perform health checks, Quarq has developed the Qalvin app for iOS and Android. 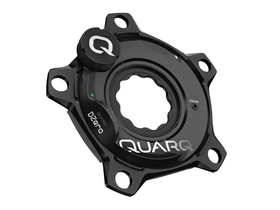 The Quarq DFour Powermeter Spider is designed to fit Shimano Dura Ace 9000 chainrings. Thus, the DFour Powermeter blends optically into racing bikes with the Dura Ace 9000 Group. Note: The Spider is only for SRAM PowerMeter cranks with eight screws Spider mount appropriate! 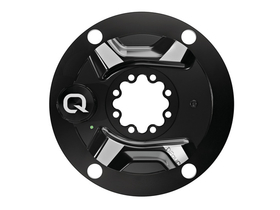 Scope of supply: 1x Quarq Powermeter DFour Spider, without crank arms, without chainrings, without bottom bracket. Note: Please observe the notes on the battery regulation .